In the heart of Windsor, the Mercure Castle Hotel is an historic landmark, well placed for Windsor Castle, shopping and sightseeing. A bus to Legoland is opposite the hotel. This Grade II Listed building on Windsor High Street has fine Georgian architecture and a stylish interior. Four-poster bedrooms and Suites are also available. Features in the stylish bedrooms include air cooling, TV/DVD, ironing equipment and broadband internet access. Enjoy the 2 AA Rosette award-winning restaurant, as well as the bar, lounge and function suites. On-site parking is available. Offering use of its impressive leisure facilities and with free Wi-Fi in public areas, the Copthorne Slough Windsor is less than 3 km from historical Windsor. This modern, comfortable 4-star hotel offers excellent access to the regions major road network, making it a great base for exploring the area. The hotels Le Club offers extensive facilities including a swimming pool, a sauna, a steam room, a whirlpool bath and a gym. The beauty salon has a range of beauty treatments at affordable prices (please book prior to arrival). 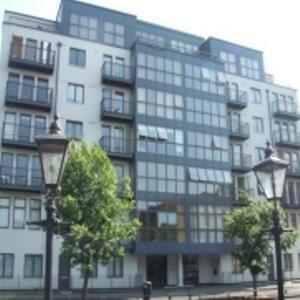 Queens Wharf Apartments offers modern serviced accommodation by the river in the centre of Reading. It has easy access to The Oracle, riverside bars and stylish restaurants. Each apartment is fully furnished and equipped, and suitable for business and leisure guests. Luxuries include a music system and a wide-screen TV with DVD player. The one-bedroom apartments have free Wi-Fi, a living and dining area and a well-equipped kitchen. Welcome to Lyndricks House situated just 1 mile from the World Famous Ascot Race Course and other major attractions like Windsor Castle, Legoland, Thorpe Park, Virginia Water Lake, Hampton Court, Bracknell, Wentworth & Sunninghill Golf Courses. A family run guesthouse that has recently been refurbished to high standards that compliment its beautiful surroundings making it an ideal place to stay for both business and pleasure. Just 25 minutes from Heathrow Airport, 10 minutes from the major motorways M3, M4, M25 and in close proximity of main business areas such as Bracknell, Camberley, Egham, Guildford, Reading, Staines, Windsor and Woking. 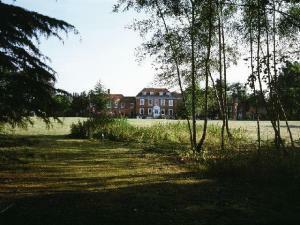 Newbury Manor Hotel is surrounded by woodland and rivers and is 15 minutes' walk from Newbury town centre. The River Bar Restaurant is set on an island for waterside dining. Many bedrooms have balconies overlooking the Kennet and Lambourne rivers, and the 9 acres of woodland and water-meadows. 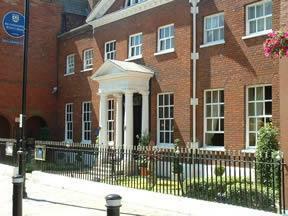 The Grade II listed hotel has a warm and inviting atmosphere and comfortable furnishings. The restaurant is surrounded by 2 rivers, and originally housed a blacksmith's forge. Both rivers have many fish. Deer, otters, beehives and grouse are among the wildlife that can be spotted at Newbury Manor. Just 2 km from Datchet, this hotel is minutes from Windsor and 2 km from Slough, with easy access from Heathrow Airport, the M4, M25 and M40 motorways. The Datchet Mead hotel is a well appointed 20 bedroom hotel which offers guests a friendly and personal welcome at all times. Customer care and service are the priorities of the current owners who have established an excellent reputation over the last 20 years. Attentive staff, combined with excellent facilities, ensure a stay to be relished and recalled with fondness. There is free wireless broadband access and free parking when you fly from Heathrow Airport (minimum one night stay at hotel required). Situated in the heart of Reading's town centre, the hotel is ideally located next to the Oracle shopping complex and within easy reach of the inner ring road and train station. Within walking distance of the Rivermead Complex, where Reading Rock Festival is held every year, the hotel's friendly and attentive team offers you a choice of contemporary or traditional en suite bedrooms with a wealth of additional extras. Whether your stay is for business or pleasure, the hotel will always endeavour to exceed your expectations so that you will feel comfortable and relaxed. Please note that the hotel does not have a lift. 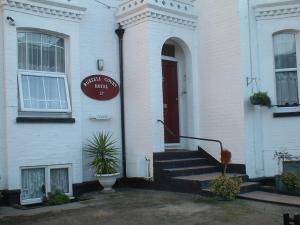 Less than a mile (1.6 km) from Slough Railway Station and with easy access to the M4 motorway, the Avondale Guest House offers free parking and comfortable rooms with TVs and refrigerators. 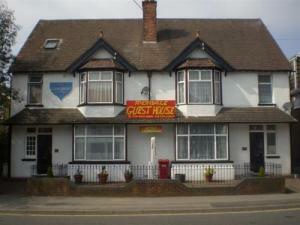 The Avondale Guest House has a convenient location, just 7 miles (11.25 km) from London Heathrow Airport. There are regular buses from the airport to Slough, with a journey time of just 15 minutes. Slough Railway Station offers convenient, regular train services to Reading, London Paddington and Windsor & Eton Central Station. Free private on-site parking is available for guests at the rear of the building. The hotel offers a range of accommodation to suit the needs and budget of any traveller. Some rooms have shared bathroom facilities and rooms with en suite showers and toilets are also available. Every room has a TV, tea/coffee making facilities and a refrigerator. Guests can also use the kitchen facilities, which include a microwave. 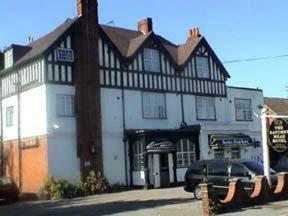 A family-run bed and breakfast hotel with excellent level of modern and fully refurbished facilities. The hotel is located in Reading town centre, a quick 5-minute walk from the middle of the centre, where you can explore the Oracle shopping centre, Broad Street Mall or the variety of restaurants, pubs and clubs. The hotel offers a variety of rooms to suit your requirements, and all rooms have en suite facilities, and rates include breakfast, wireless broadband, free parking and VAT. Up to 20 cars can be accommodated in the CCTV-monitored car park. 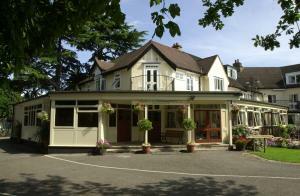 Set in its own grounds, Elva Lodge Hotel is the longest-established family- run hotel in Maidenhead. We offer a range of accommodation and facilities for both business and private guests, and pride ourselves on the friendly and personal service we offer each of them. 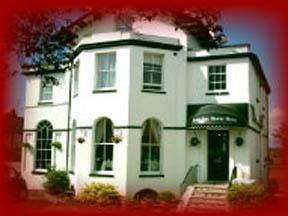 Elva Lodge Hotel offers a welcoming atmosphere and a range of well-appointed accommodation. All 26 rooms have a private bathroom with bath or shower facilities, colour television and direct-dial telephone. With the business user in mind, each room has a work area with a wireless internet connection available. 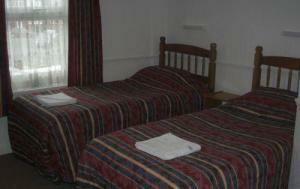 We also have family rooms, with a double bed and an additional single bed and a private bathroom. Elva Lodge has its own rowing-themed restaurant, where Steve Redgrave is a regular. We offer a range of traditional English, French and Mexican cuisine and a wide selection of wines, spirits, beers and cocktails. The bar, part of the original house built in 1902, benefits from a classic high ceiling, giving it an airy feel. The contemporary ambiance makes it a great place to relax and enjoy our guest ales or sample our extensive wine list. 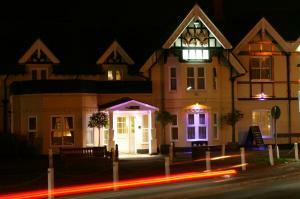 The Elva Lodge Hotel is an ideal business venue, whether for a small confidential meeting or a full-scale conference. There are two conference rooms capable of accommodating 2-50 delegates. The Garden Room, with its glass panelling, is brightly lit with natural light and the Millennium Rooms beamed ceilings give it a special charm. Business services available include fax, photocopying, OHP screens, flipcharts and training equipment. Wireless Internet is available in all public areas. Our experienced staff will always be on hand to help ensure the smooth running of your meeting or event. Combining old charm with modern comforts, this beautiful Georgian house has been newly-refurbished and boasts a privileged position in Reading's town centre, with easy access to the motorway and airports. Reflecting this charming era, the hotel offers a warm welcome and thrives on excellent service, customer care and hospitality. Awarded 4-stars in the guest accommodation category by Visit Britain, the Belle Vue provides modern and comfortable accommodation, whilst retaining its historic beauty and character. Just an 8-minute walk away from the mainline railway station, the hotel also boasts ample parking and beautiful views from many of its rooms. Please note that the hotel is completely non-smoking. In Bracknell town centre in Royal Berkshire, this modern 4-star hotel offers well-appointed accommodation and easy access to Windsor Castle, Legoland Windsor and Ascot Racecourse. The Grange Bracknell has 120 superbly appointed rooms and studio apartments offering panoramic views of the Berkshire countryside. Each spacious, air-conditioned bedroom is furnished with handcrafted rosewood furniture and luxurious deep-pile carpets. Every room has a CD player/music centre and a digital flat-screen LCD TV with satellite channels and pay-per-view movies. The hotel's Ascot Green Restaurant serves modern international cuisine in an atmosphere of sophisticated elegance. The Callera Lounge Bar combines traditional, warm, professional service with contemporary luxury, offering guests a relaxing oasis of calm and an extensive choice of cocktails and alcoholic drinks. Right in the heart of the town centre and less than 0.5 miles (0.8 km) from Bracknell Railway Station, the hotel makes a convenient base from which to enjoy all that the area has to offer. London Heathrow Airport is within easy reach, as are Windsor Castle, Woburn Abbey, Hampton Court and Blenheim Palace. In a superb location, between the banks of the River Thames and Windsor Castle, this elegant 17th century townhouse boasts luxurious accommodation, a superb restaurant and impressive relaxation facilities. Once the family home of the famous British architect, Sir Christopher Wren, the main house holds a unique place in British heritage. Over the years, the building has been meticulously restored to offer guests the highest levels of comfort and service. 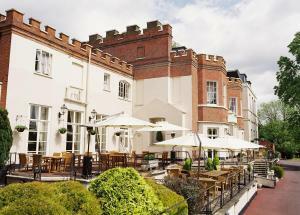 Today, Sir Christopher Wren's House Hotel & Spa offers 96 rooms, including a mix of traditional and contemporary rooms. The award-winning Strok's Restaurant has received 2 AA Rosettes for the quality of its cuisine. The hotel's own spa, Wren's Club, offers a comprehensive range of relaxing and therapeutic beauty treatments. There is a 3-level gymnasium, complete with yoga and relaxation room, a sauna and an outdoor jacuzzi pool and relaxation area. If you're looking for a first-class hotel experience in the heart of Windsor, you're sure to find it at Wren's. This centrally located hotel is easily accessible from the M4 and M25, and is ideally located just a short drive from Heathrow Airport (2 miles from Terminal 5) and the nearby town of Slough. 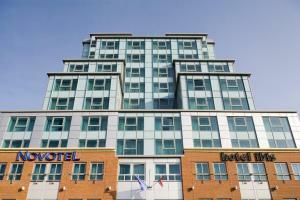 Quality Hotel Heathrow offers you a very convenient location. As well as its close proximity to Slough and Heathrow Airport, the hotel is also a great base for visiting the many tourist attractions in the area such as Legoland and Windsor Castle. The hotel has also recently refurbished its bedrooms, increasing the levels of comfort for its guests. 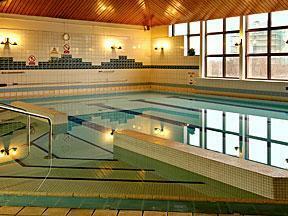 Facilities at the hotel include wireless internet access (at an additional cost) and a gym. A shuttle bus service (at an additional cost) operates regularly between the hotel and the terminals of Heathrow Airport, making it a very convenient place to stay. The convenient and easily accessible location of the hotel makes it a good option, whatever your reason for visiting. Arch is a family-run B&B with free parking and is located near Reading town centre, Reading University, Green Park and the Madjeski Stadium. The M4 motorway is a 5-minute drive away. All rooms are en suite and come with a TV and tea/coffee facilities. A full English breakfast is served in the morning, and staff aim to make your stay enjoyable and comfortable. With a superb central location, 2 minutes' walk from Reading Railway Station and the pubs on Friar Street, the hotel offers clean, comfortable rooms with air cooling. 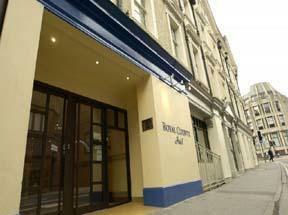 The Ibis Reading is close to all that Reading has to offer and with excellent transport links. Reading Railway Station is just a 30-minute train ride from London Paddington Station. London Heathrow Airport is only 30 minutes away, via the M4 motorway, and Gatwick is just a 70-minute train journey away. The hotel is just 10 minutes from GreenPark Business Park, just off junction 11 of the M4 motorway. The Madejski Stadium, home of Reading Football Club is less than 3 miles (5 km) away. There are over 180 en suite rooms and the hotel also has a bar serving snacks 24 hours a day. Wireless internet access is available at an additional cost and undercover public parking is available nearby, with discounted rates for guests.